Affordable energy conservation is the highlight of the newest Intellishock Solars which adjust voltage output based on demand. 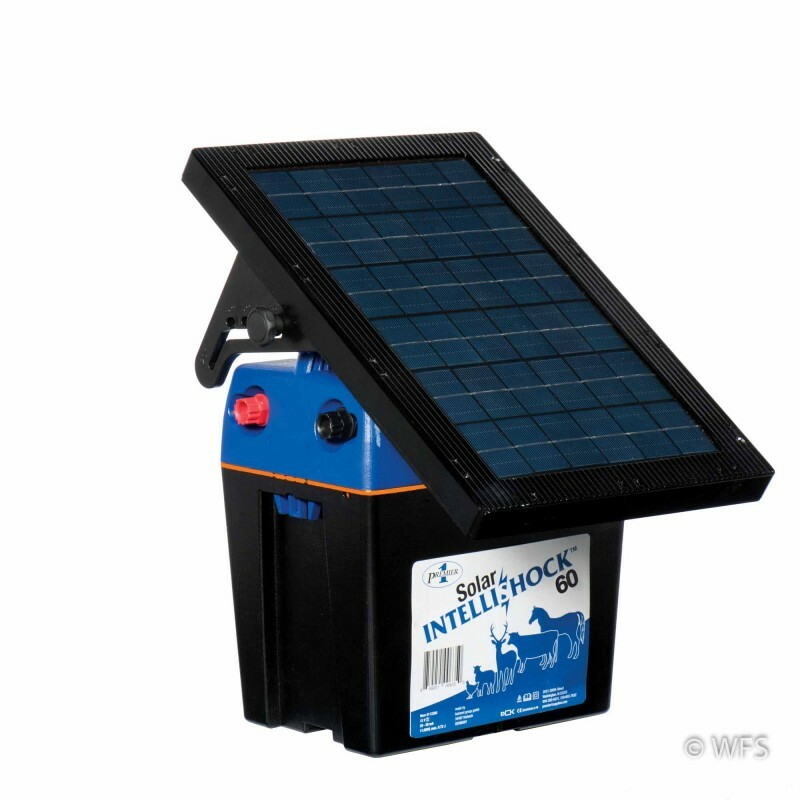 The new IntelliShock® Solar Energizers are the latest in “intelligent" electric fence energizers. These units conserve energy demand when your fence line is clean and resistance on the fence is low. The IntelliShock® 60 Solar is a 0.6 joule unit, each has a solar panel and battery configuration sized appropriately for the power consumption of the energizer. The panel can be adjusted to achieve the proper angle towards the sun depending on your geographic location as well as the season. The large capacity, sealed lead acid batteries provide continuous operation even during periods of low to zero sunlight. If needed, the IntelliShock® Solar Energizers can be plugged into a 110V power source using the included power adaptor. Each energizer is sealed in a durable UV-treated polycarbonate housing and equipped with a highly visible on/off light as well as battery indicator. These energizers are a fine choice for corralling your livestock as well as keeping predators at bay. 12 x 9 x 18 "